We Take on the Toughest Tree Removals! In need of a medium to large-sized tree removed in a dangerous or tight space? That’s our specialty! Leo Turgeon and his crew use state-of-the-art equipment to get the job done safely. We understand that every job is unique and poses different challenges, and that’s why we are happy to come out and access the situation to find the best solution possible. 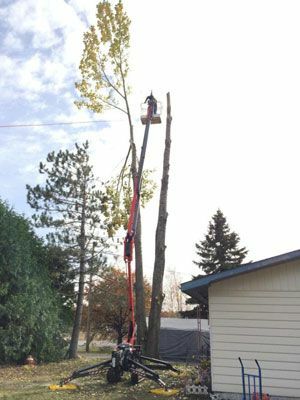 Turgeon Tree Removal is available for tree removal and chipping services in Sudbury and the surrounding areas — call us today! Call Leo today to get a free estimate by calling 705-919-2212.